If you’re looking for an affordable hotel in West Hollywood, look no further than the BEST WESTERN PLUS Sunset Plaza Hotel. Our Sunset Boulevard location and amazing service has earned us the 2016 TripAdvisor Certificate of Excellence award. 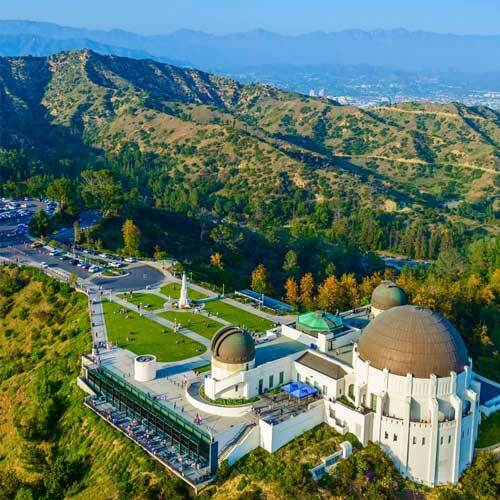 The Sunset Plaza Hotel is conveniently located in the vicinity of some of the most popular attractions in all of Hollywood. Sitting about a mile away from The Roxy Theatre, you are sure to have plenty to do while you stay in our cozy hotel. The Sunset Plaza Hotel is styled with a European decor featuring rural art pieces, stone fountains, and dressed in colorful floral arrangements that will make guests feel like they’re in a small, Italian villa. The hotel features a heated pool, a workout center, and 100% non­smoking rooms. 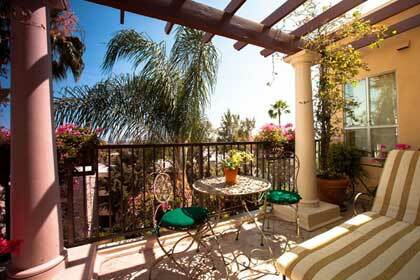 Our Balcony Suites provide our guests with a breathtaking view of Los Angeles. We also offer a complimentary, one-­of-­a-­kind American Breakfast daily. When looking for somewhere to stay in Hollywood, then choose from affordable hotels along the Sunset Strip. Sunset Boulevard has an electric nightlife and social scene. With dozens of bars, clubs, and lounges available, you are sure to meet plenty of new people and have an exciting night out. 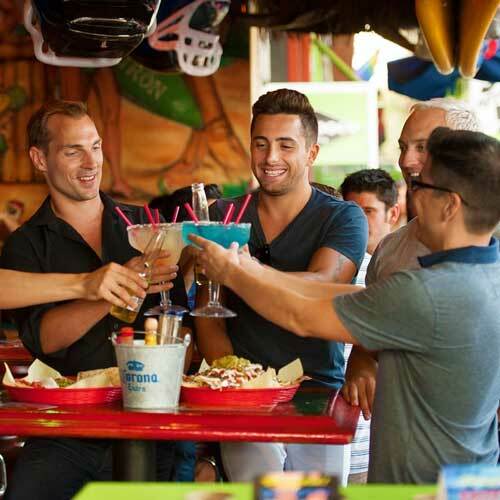 Whether you want to dance the night away at Hollywood’s hottest clubs, or lounge around one of Hollywood’s trendiest bars, there is always something fun to do when along the vibrant Sunset Strip! 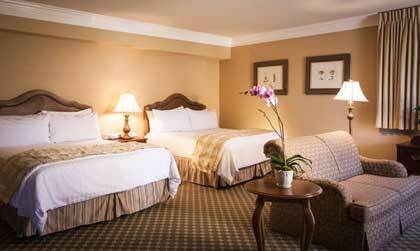 At the BEST WESTERN PLUS Sunset Plaza Hotel we offer 100 cozy, contemporary rooms and suites. Each room in our hotel is 100% smoke free. We offer 2 different types of standard rooms and 3 types of suites, including a double­-room option. Every room comes with a pillow­-top King or Queen­-sized mattress. These are some of the most popular rooms with guests at the hotel. The spacious suites boast an open area with comfortable seating, a south­-facing balcony and jacuzzi baths. 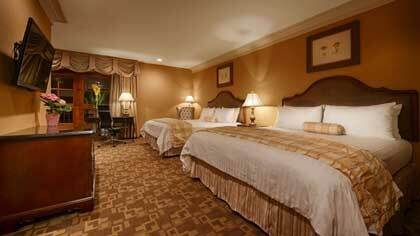 The largest of our rooms, this suite is perfect for large families and traveling groups. Our Two Double­-Bed suites feature two separate rooms, both with two queen beds. If you’re visiting with a larger group, then this room is a great choice. 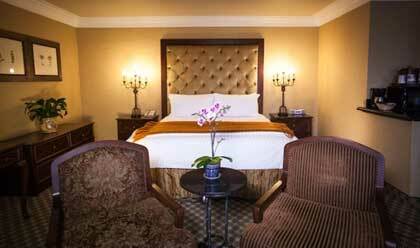 Our Two Room Suites come with a living room area, a separate bedroom with two queen beds and a sofa bed.